Applications for the 2019 GiG Malta Marathon will open on the 1st of October 2018. To apply go to the Applications section of this website. Traffic delays and deviations are expected on race day. Plan ahead and check out the traffic route/map for further instructions. There will be no public transport services between 08:00 and 11:30 from Attard, Ta' Qali, Mriehel, St. Venera and Hamrun to Valletta. During race time some routes will be diverted and some bus stops will not be served. The Inspire Foundation is the Official Charity of The 2019 GiG Malta Marathon - Inspire works with children and adults with various disabilities such as Down Syndrome, Cerebral Palsy and Autism, to help them achieve the highest levels of independence. This is the only race in Gozo that is organised by the Malta Marathon Organising Committee and is the first one following the Malta Marathon. The race season for the MMOC ends with this race and will commence again in September with the H'Attard 5K.. Applications open on 1st January 2019. To apply go to the Applications page. 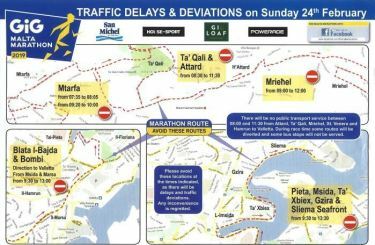 The following are other road races that the Malta Marathon Organising Committee stage, that will lead up to the 2020 GiG Malta Marathon and those that follow. This is a short and sweet 1st Malta Marathon Organising Committiee race of the season that paves the way through other MMOC races till the 2020 GiG Malta Marathon & Half Marathon. Applications open on 1st July 2019. To apply go to the Applications page. The 2018 Mdina Glass LRC 10K saw a record number of participants. We aim to have another record in 2019. Once again the 2018 Express Trailers Zurrieq Half Marathon and 10K saw a record number of participants with 301 HM and 1,057 10K finishers. It just keeps on getting better and bigger. Applications open on 1st August 2019. To apply go to the Applications page. Malta’s second most popular athletic event after the Malta Marathon, with 1,330 finishers in 2018. 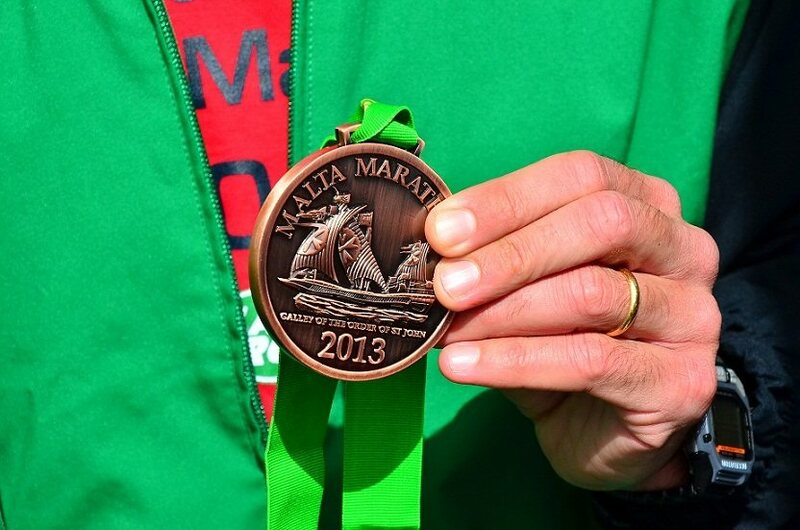 It's the oldest race in Malta retaining the same route for 40 years. Applications open on 1st October 2019. To apply go to the Applications page. This event is the last one that the Malta Marathon Organising Committiee holds before the 2020 GiG Malta Marathon and Half Marathon. This race has proven extremely popular with 1,058 finishers in 2019 despite very cold and rainy conditions, up from 710 finishers in 2018. Applications open on 10th November 2019. To apply go to the Applications page.